It’s that time of year folks. Instead of buying your student video games or a sweater they won’t wear, consider picking up one of these items that will drastically improve their musical experience. NOTE – I do not receive any kick back for recommending these products, they are simply items that I use on a regular basis. An absolute STEAL at $35. Makes my wonder why I ever had a collapsible wire stand. This baby is strong, sleek, and comes with its own carry bag. It’s easy to adjust the height with the handy quick clamp levers, and if your student is tall you can grab the extended height SMS-30 for $10 more. Comes with a 1-year warranty. In order to improve, students need constant feedback about how they sound. Taking lessons is the best way to get feedback, but your private teacher is hopefully gigging all of the time and can’t be there for every moment of your practice. Looks like a job for ……. 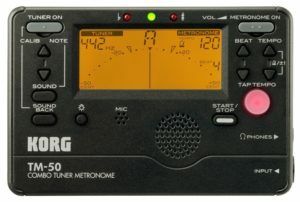 a Metronome/Tuner combo! Metronomes and tuners have been helping music students improve their time and pitch for well, forever. Yes, there are tons of phone apps out there that can do the job for $4 (Tonal Energy is my favorite), but the problem with apps is they are … on your phone. I’m sure you have the focus of a ninja master, but when my phone is in my hand I am one click a way from countless distractions. 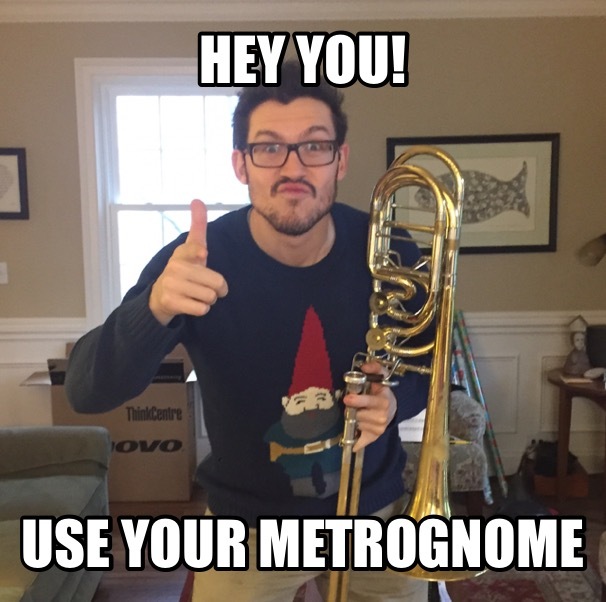 Invest in a solid metronome/tuner combo and put that phone away! Practice, record, listen, repeat. The undisputed best possible way to spend your time practicing. I would write about this, but one of the best music bloggers already did. Check out Noa Kageyama’s post on The Bulletproof Musician. 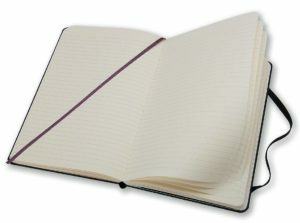 I wrote a bit a bout the benefits of a practice journal in my post 5 Productivity Hacks for Musicians. Any notebook will do, this one is my favorite. Throw in some mechanical pencils so your student is always prepared for rehearsal! I have a bluetooth speaker that lives in my trombone case. I use it every day to amplify drones, reference recordings, and play-along practice materials. 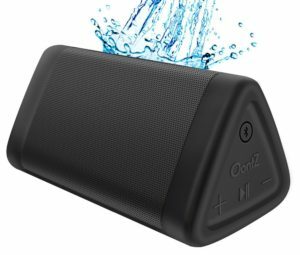 This speaker is durable, affordable and has thousands of positive reviews on Amazon. You can add a carrying case for $10 to increase its lifespan and portability. A great investment. I can feel a how-to post coming in the near future, but until then check out these amazon lists geared toward low brass players. I did my best to rank the items by importance, and sort the items into categories. If your trombone does not have a valve, you won’t need to buy any rotor oil. 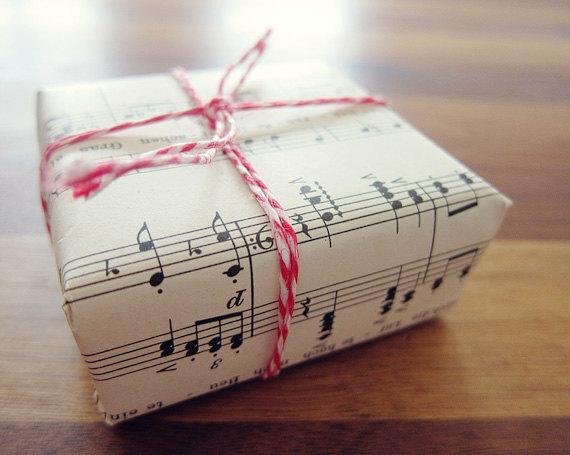 Perhaps the most valuable thing you can buy for a musician. What we do is an art, and you can only learn to be the best through experience. If you want to be a great chef, you must TASTE great food. If you want to be a great artist, you must go to great museums and SEE great art. If you want to be a great musician, you HEAR and FEEL it happening in real time. Recordings are great for their affordability and convenience, but they are no replacement for a live music experience.